HARTFORD, CT - The New Hampshire Fisher Cats (Blue Jays) were edged 3-2 by the Hartford Yard Goats (Rockies) Sunday, marking the first time this season the 'Cats have lost consecutive games. New Hampshire scored in the first inning for the third time in the series. 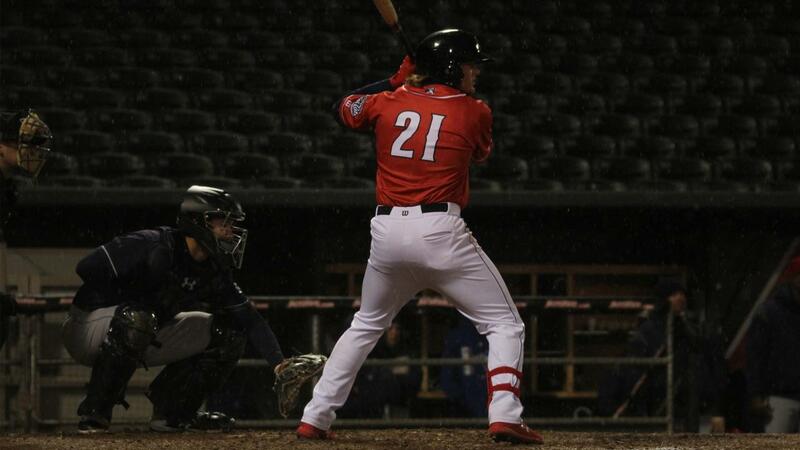 Vinny Capra and Kevin Smith singled to put runners at the corners for Kacy Clemens, whose sacrifice fly to centerfield plated Capra and made it 1-0 Fisher Cats. Hartford tied it with a run in the third. Starter Andrew Sopko (L, 0-2) surrendered a lead-off single to Manny Melendez, who promptly stole second base. After a pair of strikeouts, Sopko was victimized by a bloop single from Alan Trejo that scored Melendez and tied the game at one. It was Trejo who provided the finishing blow for the Yard Goats in the fifth. With a runner on and one out, he lifted a fly ball to left that barely scraped over the wall for a two-run home run that put the 'Goats up 3-1. Sopko finished the day with five frames and allowed three runs on seven hits, walked two, and struck out a season-high six batters. The 'Cats got one back in the seventh with a walk, a pair of base hits and an error, but the rally was cut short after a pickoff by the catcher to first base ended the inning with the score 3-2. That was the last best chance for New Hampshire as they fell by the same score. Vinny Capra tied a team high with a hit in his sixth consecutive game. Kacy Clemens leads the 'Cats with six RBI after his sacrifice fly today. Jackson McClelland and Bryan Baker worked scoreless outings. The former put up two zeroes while the latter was perfect in one inning of work. New Hampshire travels to Binghamton, NY for the first of three with the Rumble Ponies (Mets) Monday night at NYSEG Stadium. Patrick Murphy (0-1, 3.38 ERA) gets the nod for the 'Cats while the 'Ponies have yet to name their starter. Coverage begins at 6:15 p.m. and continues with first pitch at 6:35 p.m. on the Fisher Cats Radio Network.